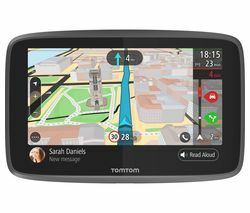 Top features: - Easy to use Sat Nav with UK & ROI maps - Live updates via Smartphone Link App - Real directions and points of interest - Alerts and warnings to help you on your route - Make hands free calls on the phone while driving with Bluetooth technologyEasy to use Sat NavPop this Sat Nav on your dashboard and you'll enjoy an easy to use device with a great 5” touchscreen display. 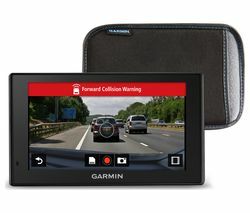 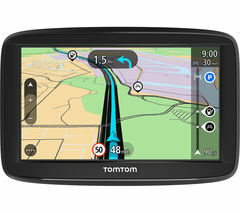 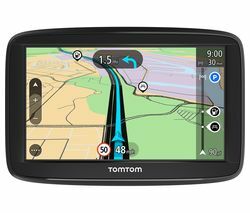 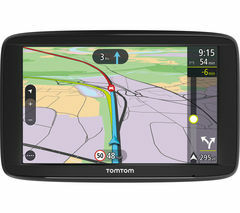 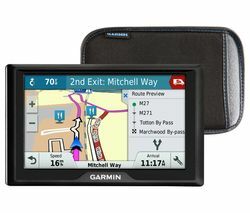 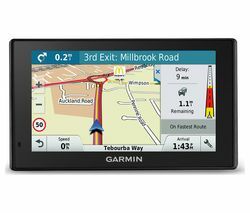 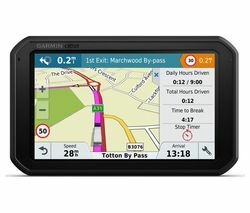 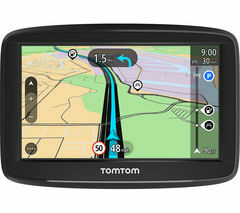 The Garmin DriveSmart comes with lifetime map updates for the UK and Ireland, plus built-in WiFi for easy map and software updates.Live updates via Smartphone Link AppFor real-time information such as live traffic, parking information and weather, connect your Garmin DriveSmart to your smartphone using the Smartphone Link mobile app, which you can find in Apple's App Store and the Google Play Store.Real directionsGarmin Real Directions are simple and easy to understand. 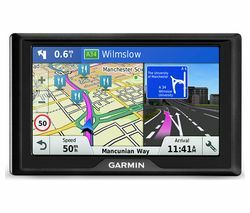 Landmarks and clear sights will be mentioned to help you along the way such as “Turn right after the red building” or “Turn left after the petrol station”.If you're looking for something to eat, or maybe somewhere to stay overnight, you can also view ratings for points of interest, such as hotels and restaurants, along your route or near your destination.Alerts and warnings to help you on your routeAn array of handy features help you get to your destination and stay safe en route. 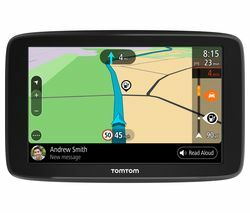 You'll get alerts for sharp curves, speed changes, railway crossings, animal crossings, school zones, speed cameras and more. 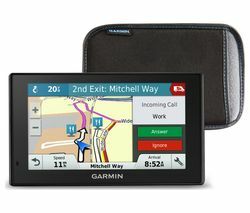 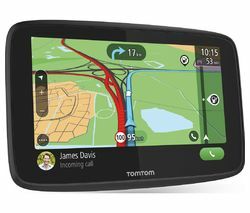 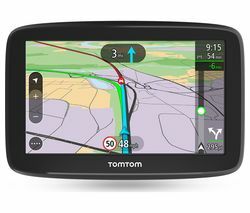 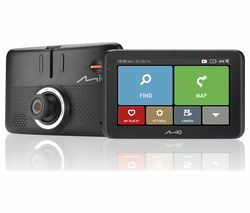 A fatigue warning suggests break times and potential rest areas for when you're on a longer drive.Hands free calls with BluetoothSync your Bluetooth-enabled smartphone to your Garmin sat nav to make hands-free phone calls and receive text messages straight to your sat nav's display. 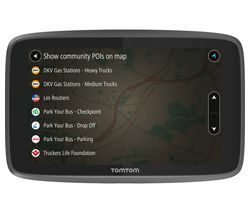 Stay connected without taking your hands off the wheel.What are free Lifetime Maps?Sat nav devices or smartphone apps with free Lifetime Maps allow you to download full updates of your map every year - stay up-to-date with changes to road networks, addresses and points of interest, as well as new businesses, road changes and junction alterations.Updates are released at least four times a year and apply to the map that's pre-installed on your sat nav or included with your smartphone app. 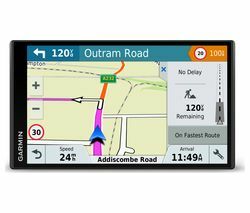 Geographical coverage and features will still match the original. Updates are free of charge and provided for the useful life of the device (i.e. 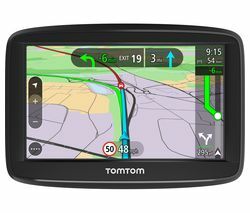 as long as the manufacturer supports it with software updates, services, content or accessories).What is free Lifetime Traffic?Lifetime Traffic is a premium real-time traffic information service that shows exactly where delays start and end so you always know the fastest route.‘Lifetime' means the period of time that the sat nav manufacturer continues to support your device with software updates, services, content or accessories. 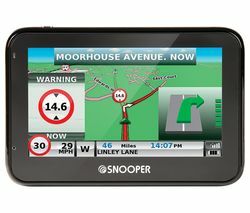 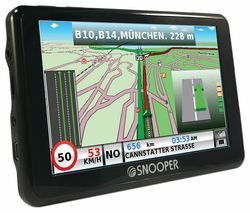 The useful life of the smartphone app means the period of time that the manufacturer continues to support the app with updates.Lifetime Traffic is included with this premium sat nav device and cannot be transferred to another sat nav device or smartphone app.__________________________________________________________ Please note: Map updates may require a microSD card.